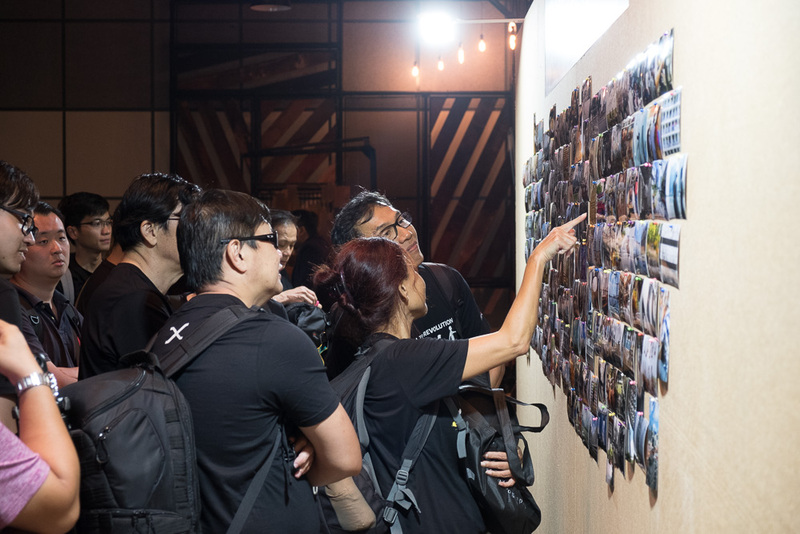 Fujifilm Singapore launched the GFX 50S, X-T20, X100F and the XF 50mm f/2 WR at Suntec City Convention Centre yesterday (17 Feb) in conjunction with a photo contest. Visitors looking at the submissions of the photo walk held earlier. 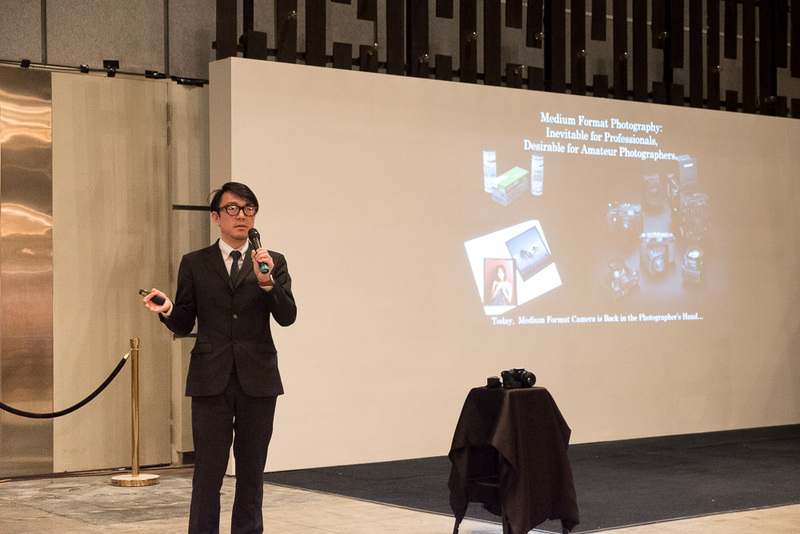 Mr. Mokoto Oishi, Product Planning Manager of Fujifilm Corporation is up next, speaking about the design philosophy and technical aspects of the GFX 50S. 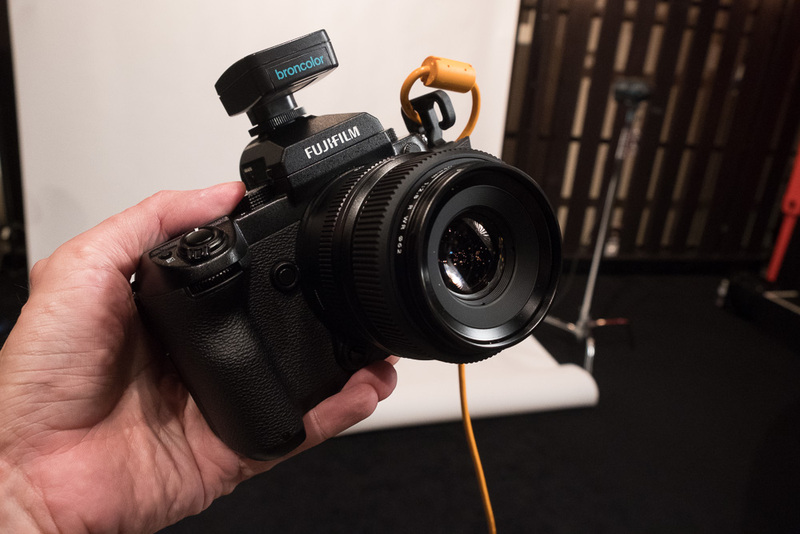 This is Fujifilm’s mirrorless medium format with a resolution of 51.4MP, but with a relatively compact and lightweight form factor compared to a professional full-frame DSLR. As with Fujifilm’s previous launches, X Photographers went on stage to talk about their experiences with using the new cameras. 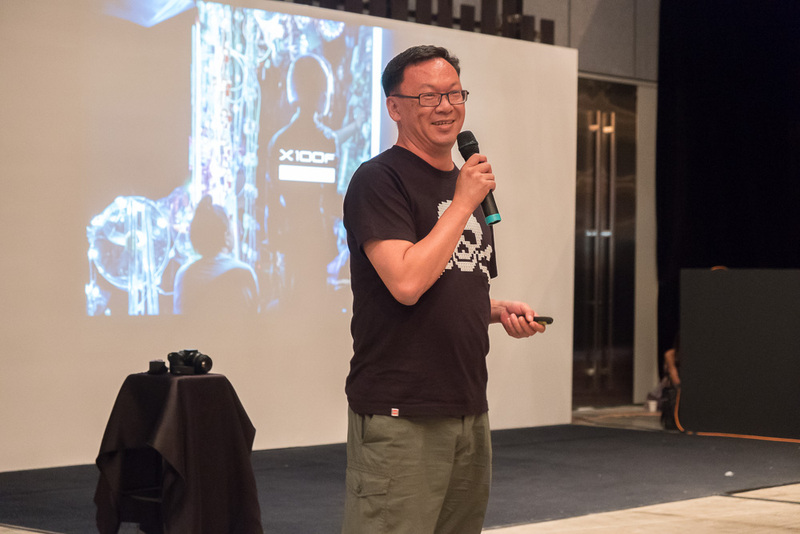 Popular street photographer Mr. Chia Aik Beng (popularly known as Aik Beng Chia or ABC) started the ball rolling, talking about his experience in using the X100F in Japan and India. 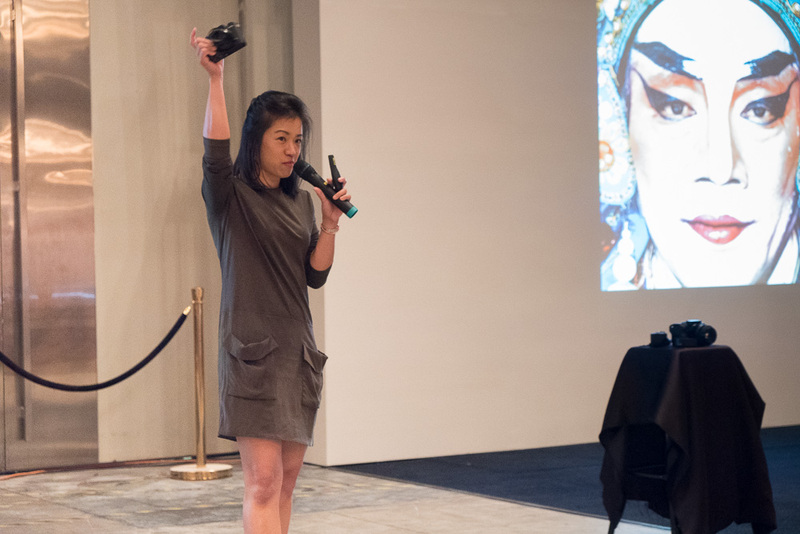 Next, the first female X Photographer, Ms Mindy Tan talked about her experience with shooting the X-T20, and how how the small size and touch-screen helped her get her street photos. Ms Mindy Tan showing how small the X-T20 is in her hands. 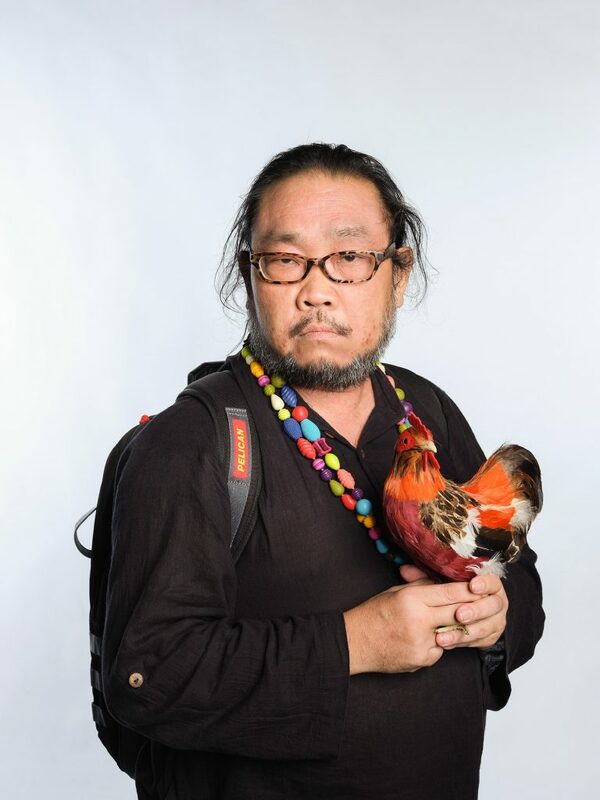 Commercial photographer Mr. Ivan Joshua Loh is up next, talking about how the GFX 50S has rekindled his passion for medium format. Being mirrorless, the GFX 50S is a lot lighter than the other medium format cameras, which made shooting a breeze. The star of the evening is, of course, the medium format GFX 50S and I wasted no time in checking it out. With the GF 62mm f/2.8 attached, it does feel pretty light, even when compared to a DSLR. With the GF 32-64mm f/4 though, it weighs nearly as much as a DSLR with a pro-level 24-70mm f/2.8 zoom lens. Not bad at all, considering this is a medium format camera after all. The back of the GFX 50S features a 3.2″ touch-screen LCD. AF speed of the GFX 50S is pretty decent, though slower than a typical DSLR. I’d say it’s roughly the same as the early X-T1 AF speeds, which I think is not bad for a medium format. The GFX 50S has a detachable, high-resolution EVF with 3.69M dots, which looks big and bright, just like the X-T2’s but it appears to be bigger as there is higher magnification. This is how compact the GFX 50S is in my hand. Here is a test shot from the GFX 50S, lit by Broncolor lights. Shot on GFX 50S with the GF 63mm f/2.8. 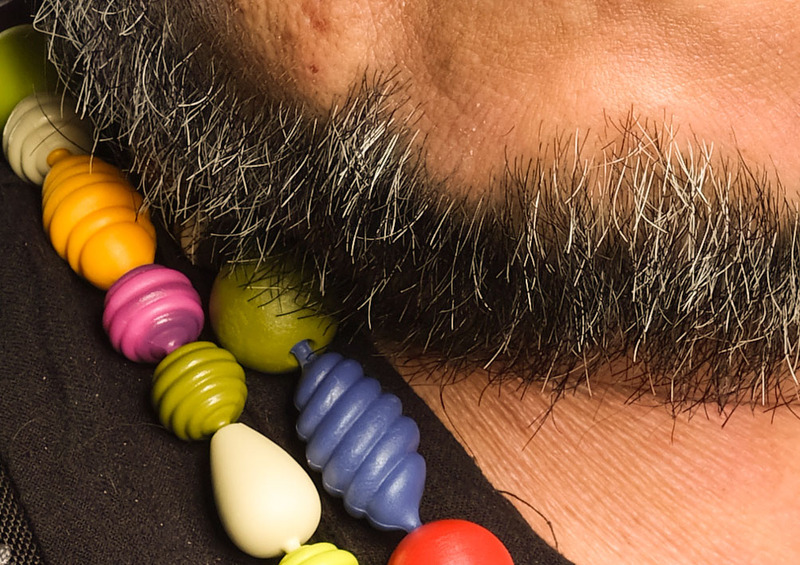 And here’s a 100% crop showing the amazing detail. 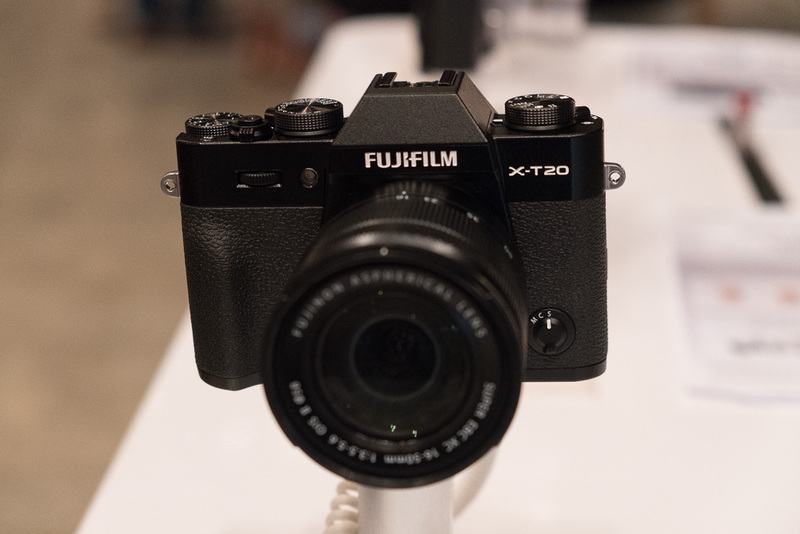 The X-T20 is designed as the smaller and lower-cost alternative to the flagship X-T2, with the same image sensor and processor in a smaller and lighter form factor. It also has a touch screen and pop-up flash, things with the X-T2 lacks. Having been spoilt by the excellent EVF of the X-T1 and the X-T2, the EVF on the X-T20 is smaller and dimmer, but still looks nice and sharp. AF speeds are pretty good too! This is the forth iteration of the camera that started the ”X Revolution”. The camera still looks pretty much the same, with some tweaks to the physical dials and the addition of the AF selection joystick for easier AF-point selection when shooting. The ISO dial is now integrated into the shutter speed dial, like the X-Pro 2 and some of the old film SLRs. The original X100 was known to have super slow AF. However, thanks to its superior colours and image quality, photographers around the world were able to look beyond this and embraced the camera. Over time, Fujifilm has continually improved the AF speed with each release, and I am glad to say the AF speed on the X100F is now excellent. Not quite on par with the X-T2 but still very fast. Good job, Fujifilm! The newly released cameras are now available from authorised Fujifilm dealers. 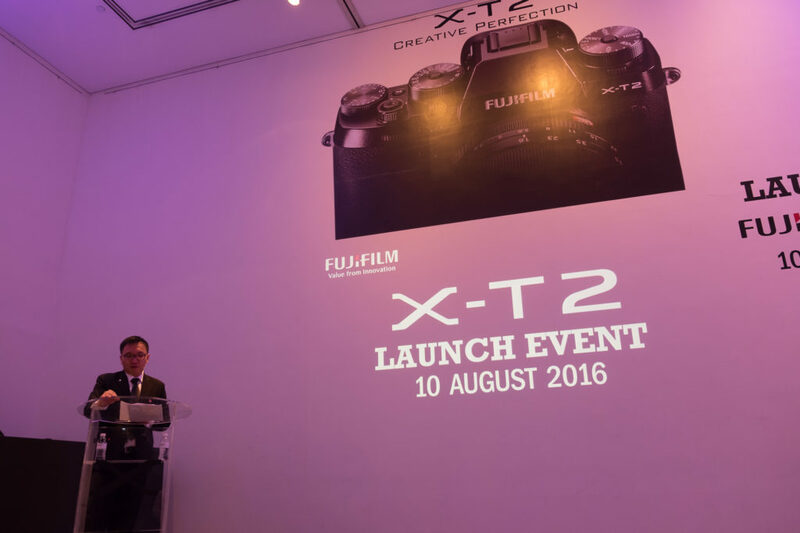 Fujifilm X-T2 Launched in Singapore. Plus Hands-On Impressions. 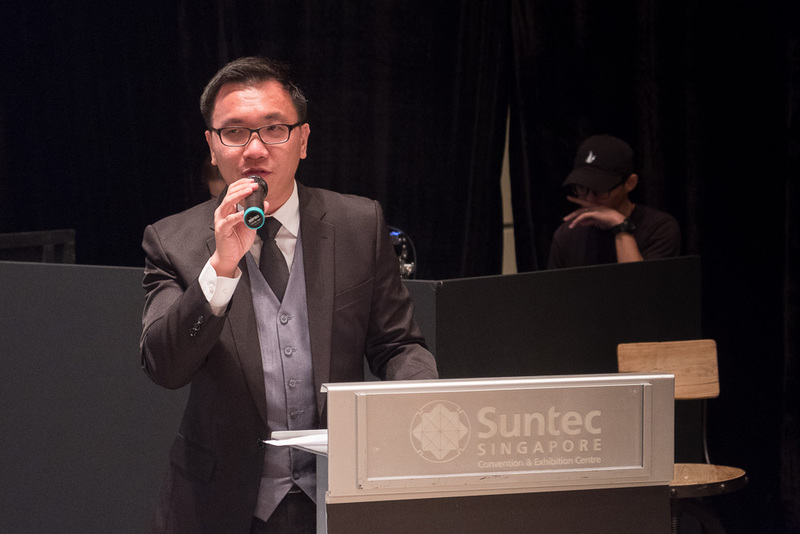 After weeks of anticipation, the Fujifilm X-T2 was finally launched in Singapore on 10 Aug 2016, a day after Singapore’s National Day. 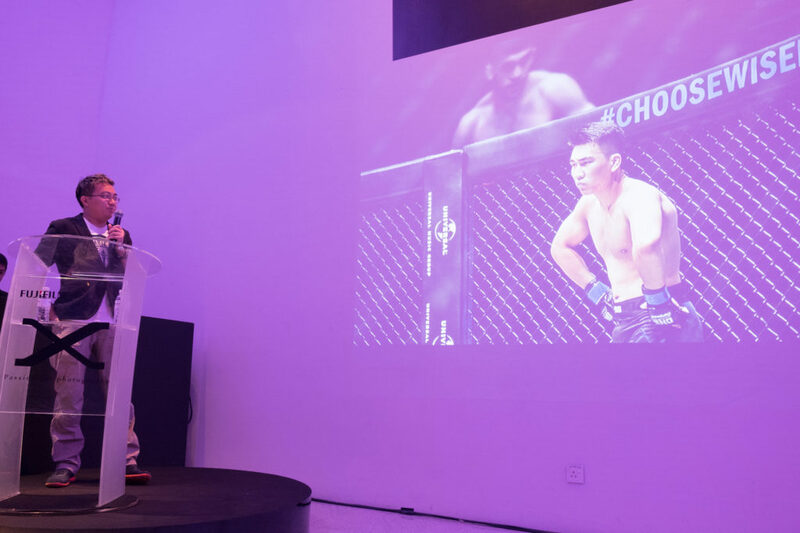 It was held in the Luxe Art Museum, a small museum near The Cathay at the end of Orchard Road. 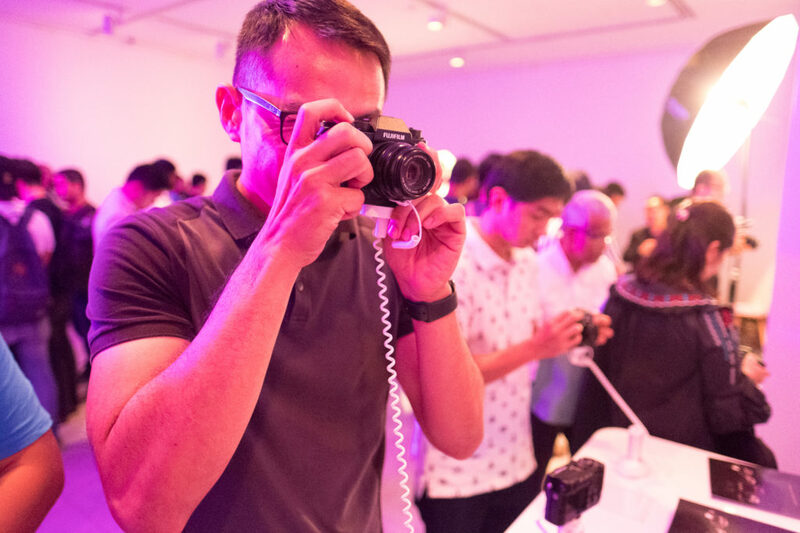 To cater to the large turnout, Fujifilm Singapore has organised two sessions of the launch event—one in the afternoon and the other in the evening. I attended the latter session. 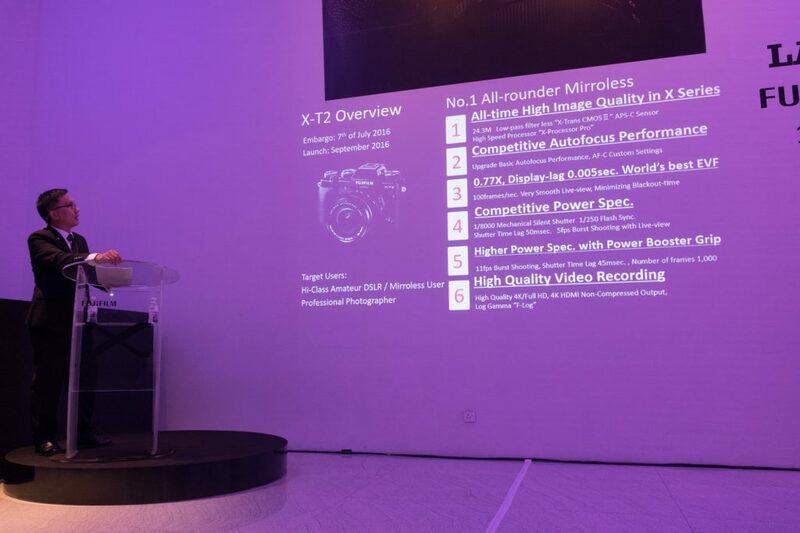 The event started with Mr. Favian Loo, Divisional Marketing Manager of Fujifilm Asia Pacific giving us a rundown of the new features of the Fujifilm X-T2. Among them are an upgraded 24MP sensor (the same one used on the X-Pro 2), significant improvements in AF performance and 4K performance. There is also a specially designed vertical battery grip which further improves the performance of the X-T2, as well as to give a much longer battery life by allowing the user to use three batteries simultaneously. The two batteries in the grip will be consumed before the one in the camera body. As with modern-day electronic devices, the X-T2 batteries can also be charged using USB. Mr. Favian Loo talking about the improvements made in the Fujifilm X-T2. Next to present is Ms. Mindy Tan, the first female Fujifilm X Photographer. 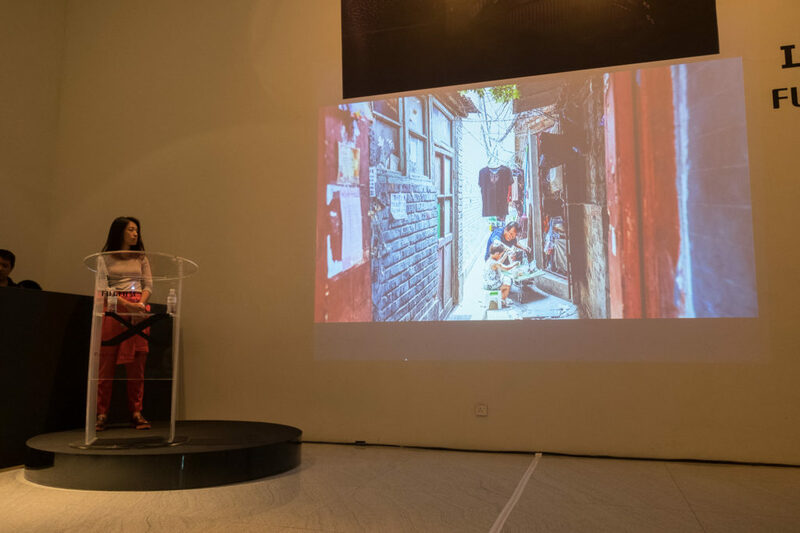 Mindy presented a photo slide show about the hutong in Beijing, China and her experiences in using the X-T2 while shooting her photo project. Unfortunately, the projector and the purplish light used in the event doesn’t do justice to her work. Thankfully, they are also presented as prints in the event grounds. Next up is Mr. Benny Ang, followed by Mr. William Chua, both wedding photographers. 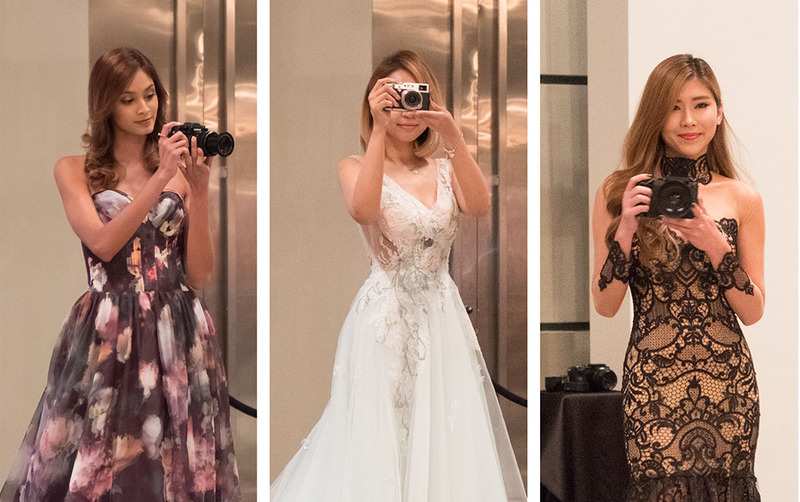 They shared with the audience their experiences of using the X-T2 for their shoots and how the small size of the X-T2 helped them get their shots more easily. In particular, William told us about how the smaller X-T2 (compared to a DSLR) enabled him to shoot more easily in Morocco, where the people are camera-averse. 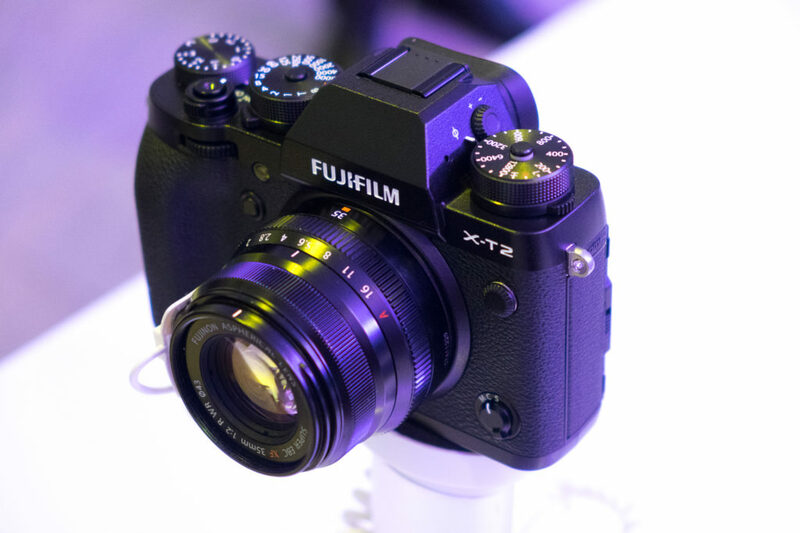 After the presentation, we finally got to lay our hands on the Fujifilm X-T2. There are also two live studio shooting sessions hosted by photographers Benny Ang and Ivan Joshua Loh. I headed straight to the demo stations, where there are a few demo units. Fujifilm X-T2 with XF 35mm f/2.0 WR lens. In the hands, the X-T2 body feels similar to the X-T1. The hand grip is now slightly deeper, making for a nicer feel. The lock on the ISO dial—one of those things I hate on my X-T1—is now improved. It’s now a toggle switch—press once to lock, press again to unlock. This is much better as I can leave it unlocked for ease of changing settings. The same lock is also implemented on the shutter speed dial, though I think that doesn’t really require locking in the first place. But still a good usability improvement. Also, as you can see from the photo above, the X-T2’s shutter button now has a threaded hole for those of you who wants to use a traditional mechanical plunger-type shutter release or a soft-release button. 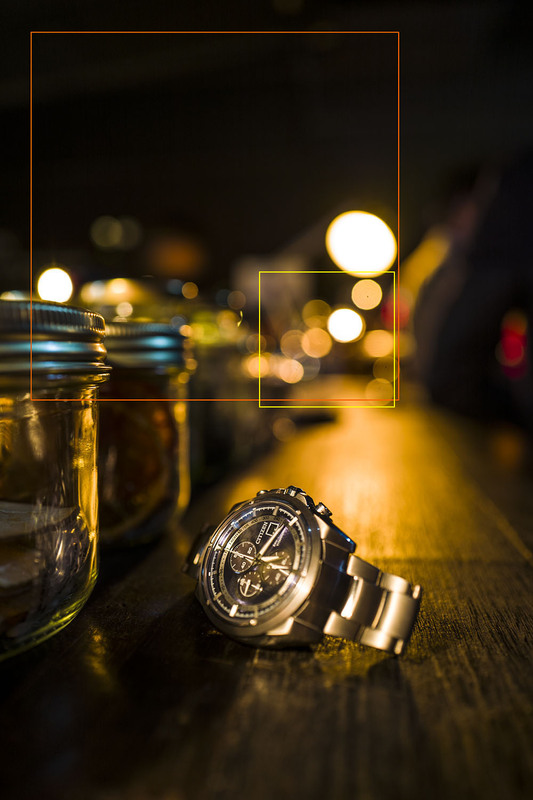 The exposure compensation dial of the X-T2 now lets you do up to ±5 stops of compensation. This is done by setting the dial to the “C” setting, and dialling in the desired exposure compensation using the front command dial. 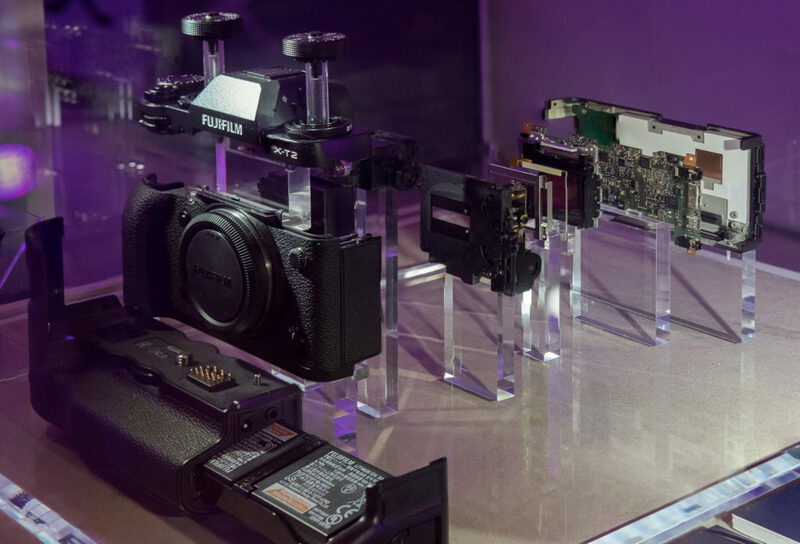 Exploded view of the Fujifilm X-T2. On the back of the camera, the next major change is the flip LCD screen. Besides flipping up/down for high/low angle shots, the LCD also flips horizontally. Unfortunately, it only flips to the right. It would be nice if it could flip to the left as well. Though improved, I couldn’t tell much of a difference between the X-T2’s EVF compared with my X-T1. Like the recently-launched X-Pro 2, the X-T2 also features a joystick controller at the back. This works much better in selecting AF points than the rather mushy D-pad of the X-T1. On the X-T2, the D-pad buttons were also improved. They click more positively now compared to the X-T1. Definitely an improvement. With 91 AF points, the joystick is a welcome addition to easy selection of the desired AF point or group. Another new change is the SD card door. 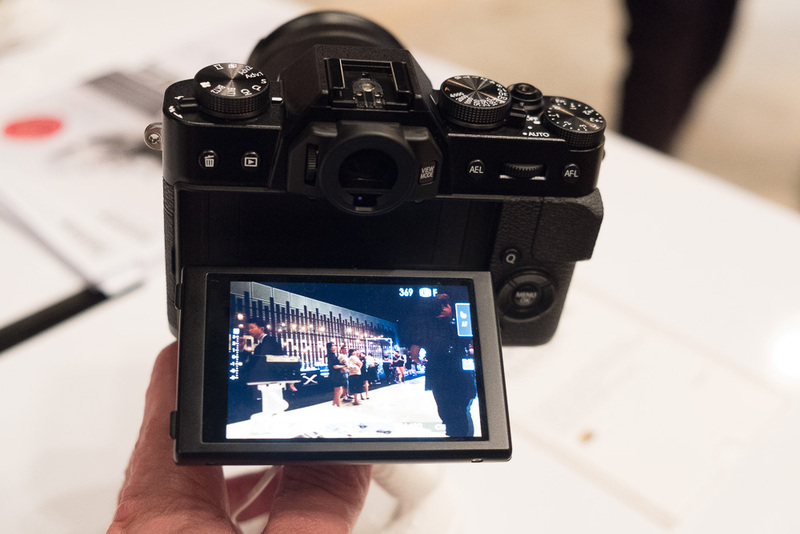 On the X-T1, the SD card door slides towards you to unlock, much like some Nikon DSLRs. On the X-T2, there is now a lock lever on it which you must press in order to unlock the door. This implementation, though possibly more secure, is more fiddly when you need to change SD cards quickly. It’s probably not something you can do quickly when wearing gloves. I also tried to test out the improved AF speeds as well. However, the first unit of the X-T2 I laid my hands on had a XF 16mm f/1.4, which isn’t very fast. Also, the rather dim (and lit with purplish lighting) show ground isn’t the best place to test AF performance. I tested with an unit mounted with a XF 35mm f/2.0 and AF speeds were similar to my X-T1 which I had with me. At the live studio setup, however, the X-T2 AF speeds were pretty good, focussing almost instantly on the models. I believe the firmware is still not the final version and is still being improved. The production version should be much better. A visitor checks out the Fujifilm X-T2 at one of the live shooting setups. Another highlight of the X-T2 is 4K video recording. Again, the lighting conditions on the show floor weren’t good for this. The rather short security cable which the demo units were tethered to didn’t help either. On the X-T2, Fujifilm has removed the dedicated movie record button from the body. Movie recording is now its own drive mode which you set on a dial below the ISO dial. 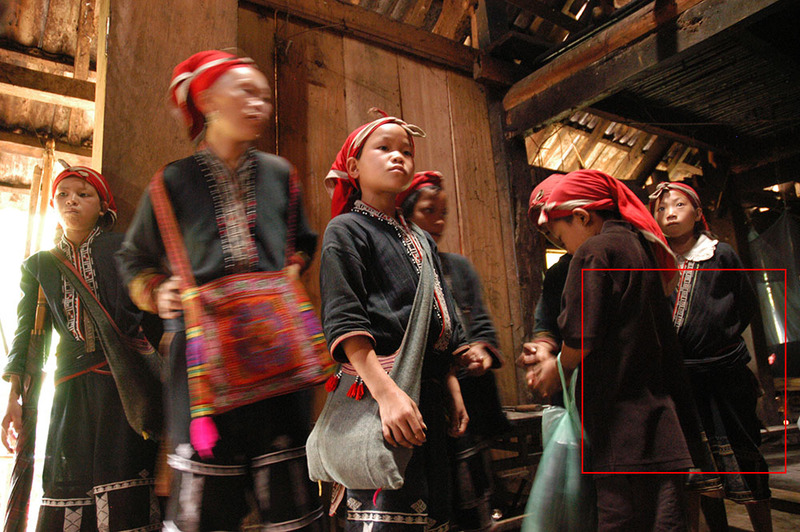 Once in movie mode, the shutter button will start the video recording. 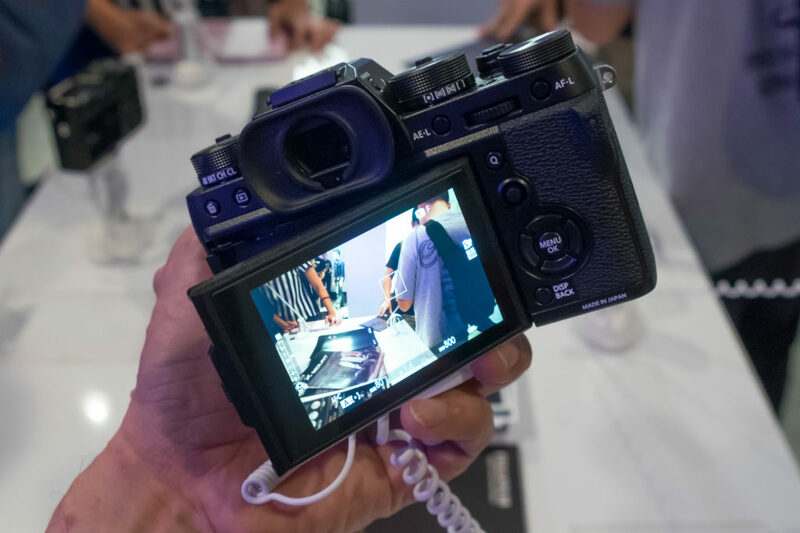 The X-T2 is able to record to the SD card slots or to an external recorder via the HDMI output. Image quality is excellent. Here is a shot taken at one of the studio shooting areas, using a X-T2 and XF 50-140mm f/2.8. 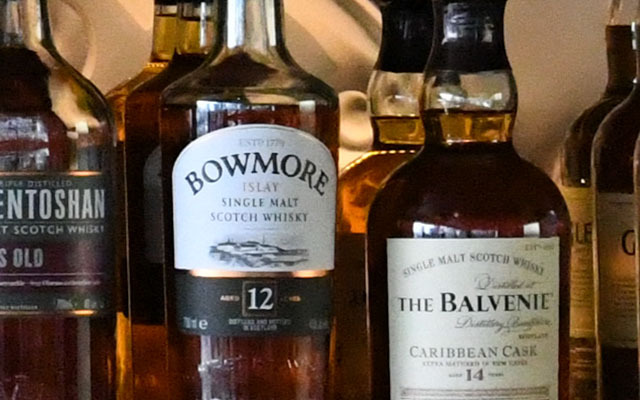 It’s slightly cropped but no other image adjustments were made. High ISO performance looks pretty decent too. Here’s a shot at ISO 12,800. This is the highest native ISO of the X-T2 before going into one of the boost modes. Fujifilm X-T2 output at ISO 12,800. No noise reduction applied. 100% Crop of the above image. No noise reduction applied. Hopefully, we can get hold of a review unit of the X-T2 from Fujifilm as it’s really hard to test out the camera at the event. 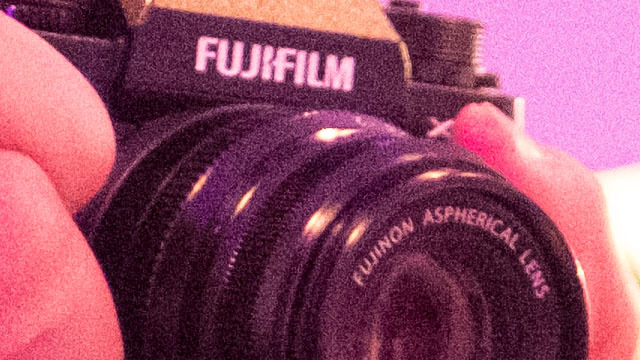 But as of now, I quite like the improvements which Fujifilm has put in. 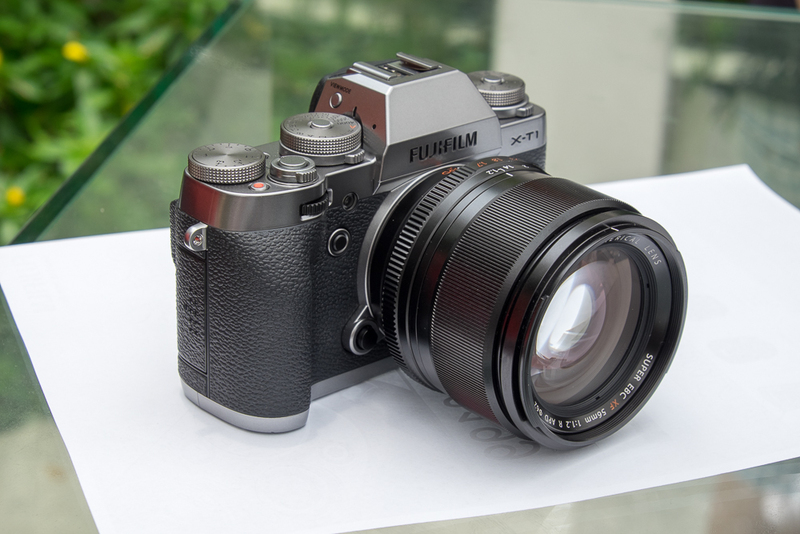 The camera is available for pre-order from Fujifilm’s authorised dealers at S$2,599 for the body alone, or $2,999 with the XF 18-55mm f/2.8-4 kit lens. 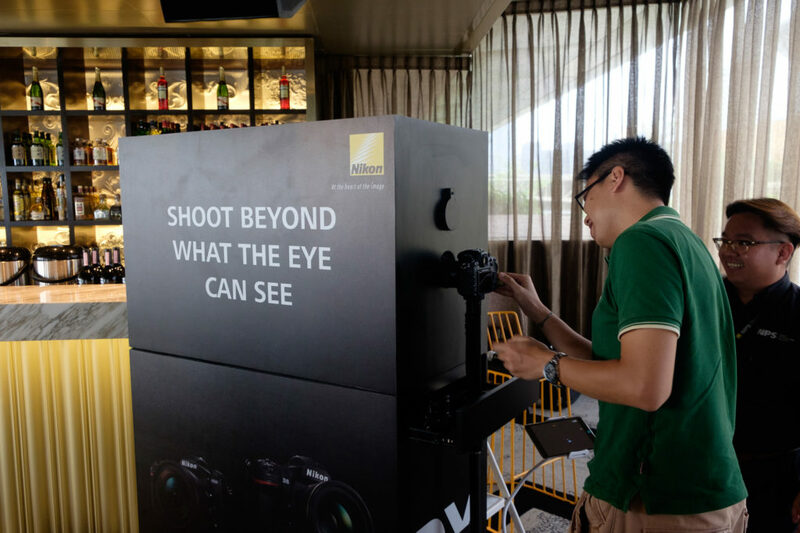 Nikon Singapore has launched the flagship D5 and D500 DSLRs today (13 Apr 2016) at the Aura Skylounge at the National Gallery of Singapore. We were there at the launch event and managed to get a hands-on session with both the cameras. 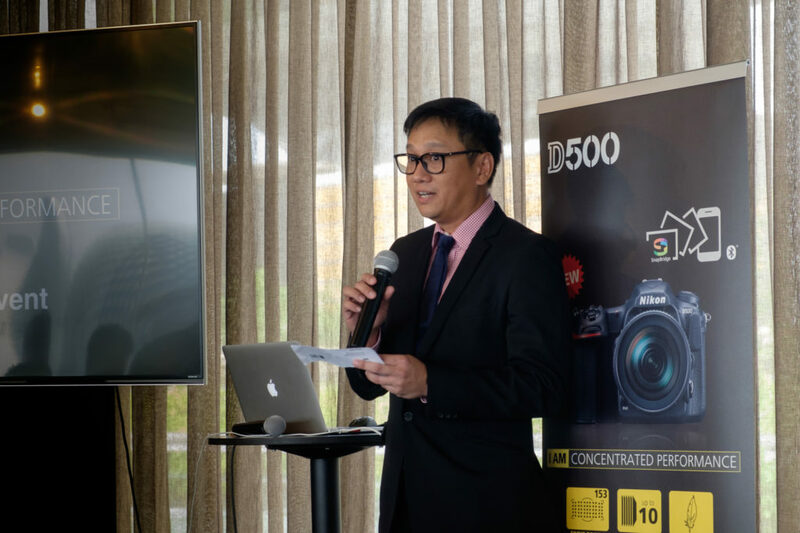 The launch started with an introduction by Sunny Ng, Senior Sales and Marketing Manager of Nikon Singapore followed by a rundown of the D500’s features by Albert Yap from the Asia Technical Office. Some some strange reason, there wasn’t any talk about the flagship D5. The talk focussed on the Nikon D500. Wildlife photographer C.S. 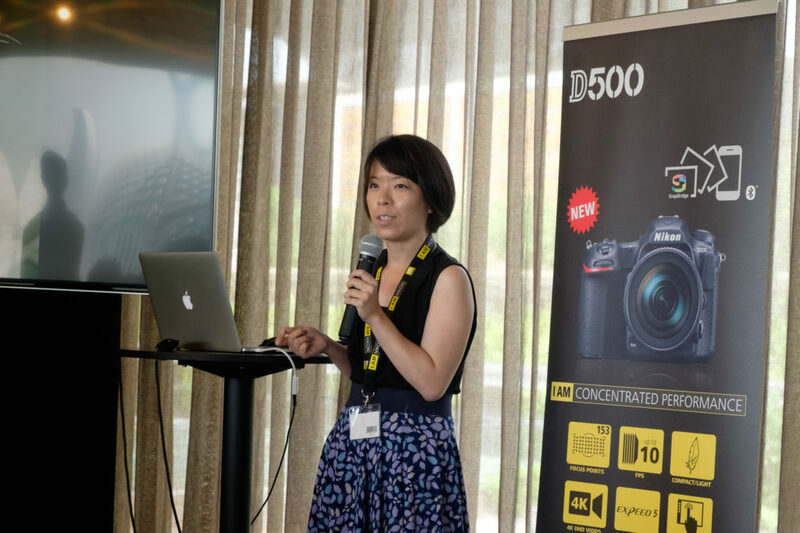 Ling then talked about her experience shooting the D500 in Borneo and how it managed to capture her wildlife shots in vivid detail and very low noise, despite her having to use very high ISOs some times. 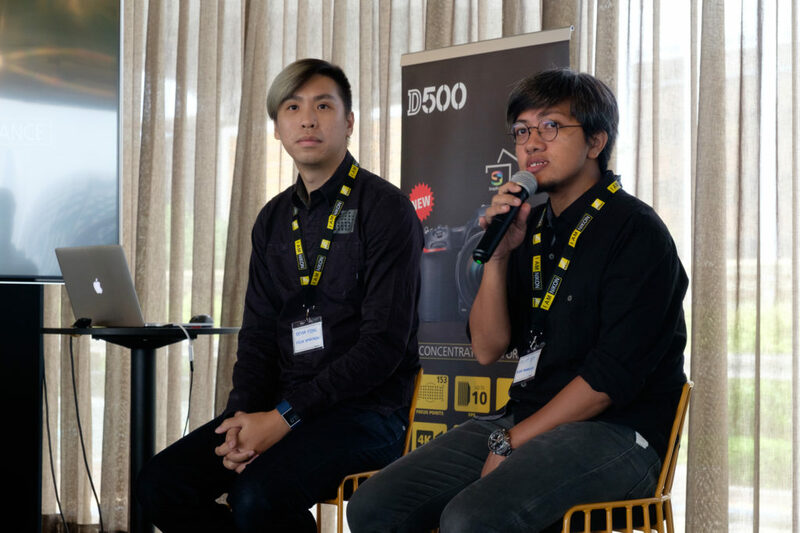 We then had a short Q&A with Nikon Ambassadors Bryan Fong and Elliot Lee, who briefly shared about their shooting experiences and how they felt about the two new cameras. To allow us to test the D5 and D500, Nikon has kindly gave us 16GB CompactFlash and SD cards (Sandisk Extreme no less!) so that we can bring the images back. One of the much touted features of both the cameras are their excellent high ISO performance, and Nikon has specially constructed a dark box for this purpose. 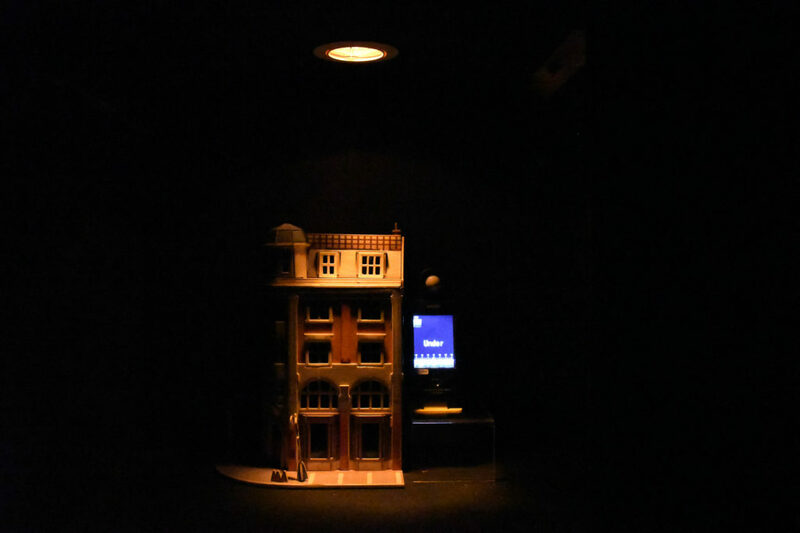 It simulates a lighting condition of -4EV, in which the naked eye can barely see anything. However, the D500’s centre AF point is sensitive enough to still be able to AF in such conditions. Previous cameras like the D750 can only AF down to -3EV, so the D500 is a stop better in this regard. I wasn’t able to achieve an AF lock using Live View though. A scene taken inside the dark box using the Nikon D500 at ISO 51200. Here’s a YouTube video by local photographer Alex Ortega showing the camera achieving an AF lock under this lighting condition. Pretty cool, I’d say. 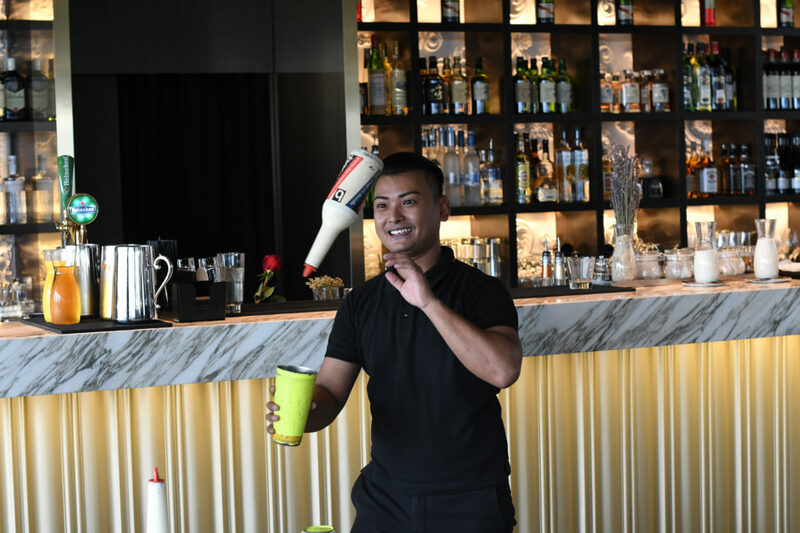 For testing the high-speed burst modes and fast AF speeds, Nikon got two bartenders to give bartending performances. Both cameras were able to capture this well. I don’t really shoot a lot of bursts myself, though. 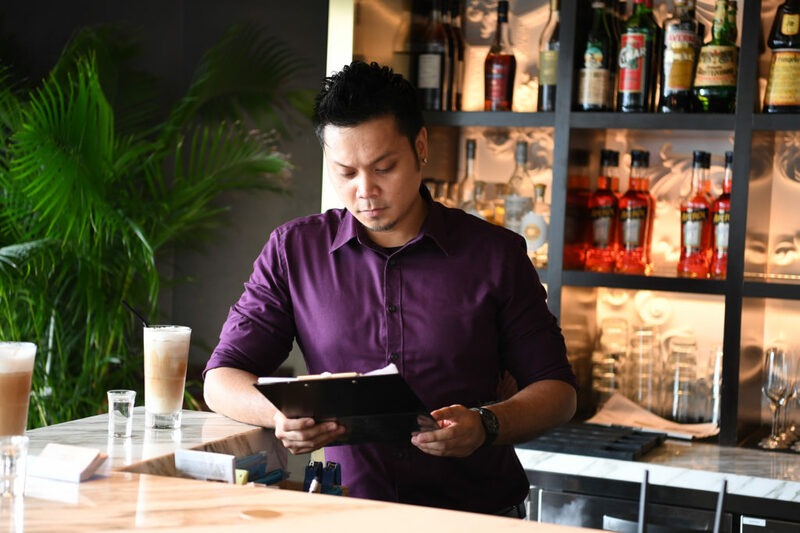 Bartending Demo, shot on a D500. 1/200 @ f/4, ISO 1600. There was also a section set up on the balcony to let us play with the AF-S 800mm /f5.6E, AF-S 400mm f/2.8E and the AF-S 80-400mm f/4.5-5.6 lenses. It was bloody hot outside, so I didn’t stay out there for long. I took a couple of shots on the D5 and it was expectedly good. This is a given, as just about any modern camera would have produced a good shot in good lighting nowadays. Nikon D5, 1/200 @ f/11, ISO 100. Anyway, back indoors, I attempted to test both the camera’s high ISO performance. Since low ISOs are no longer a challenge for most modern cameras, I started from ISO 1600 and worked my way up to the maximum. “Unfortunately” it wasn’t dark enough to reach the ISO 3-million of the D5. 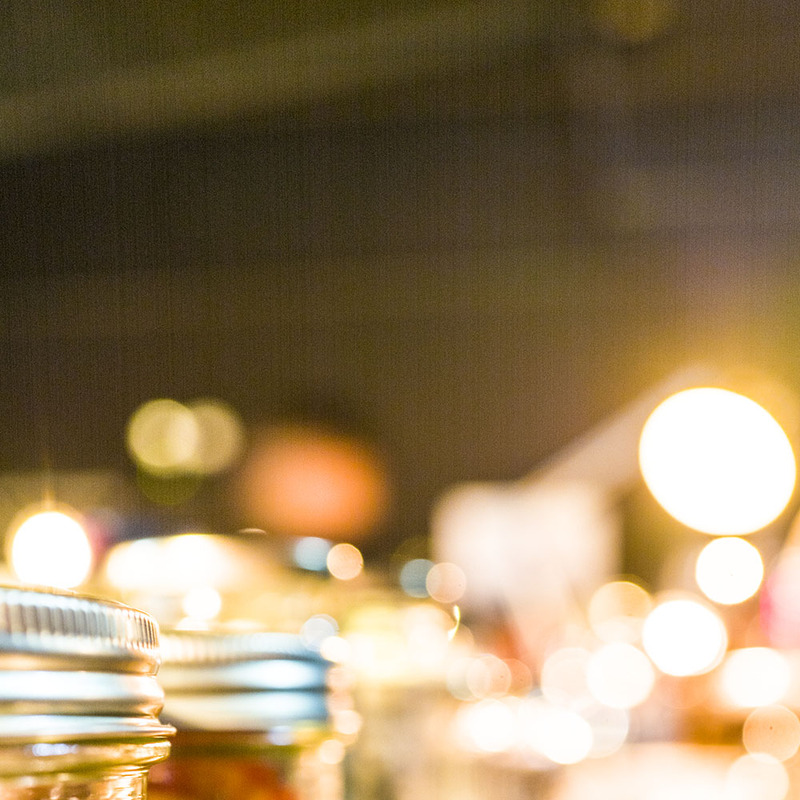 Expectedly, ISOs within the non-expanded range (i.e. below H.01) were all very good, particularly on the D5 which didn’t show much noise until about ISO 51,200. 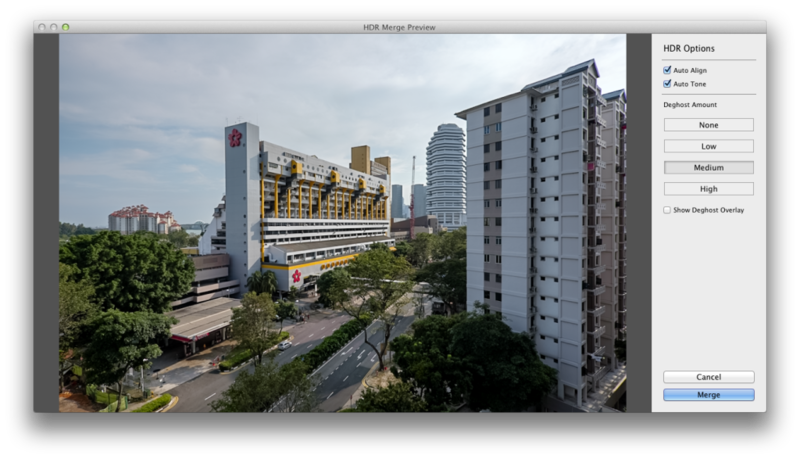 The D500 that I was testing appear to have its Noise Reduction turned off or set to a very low level. 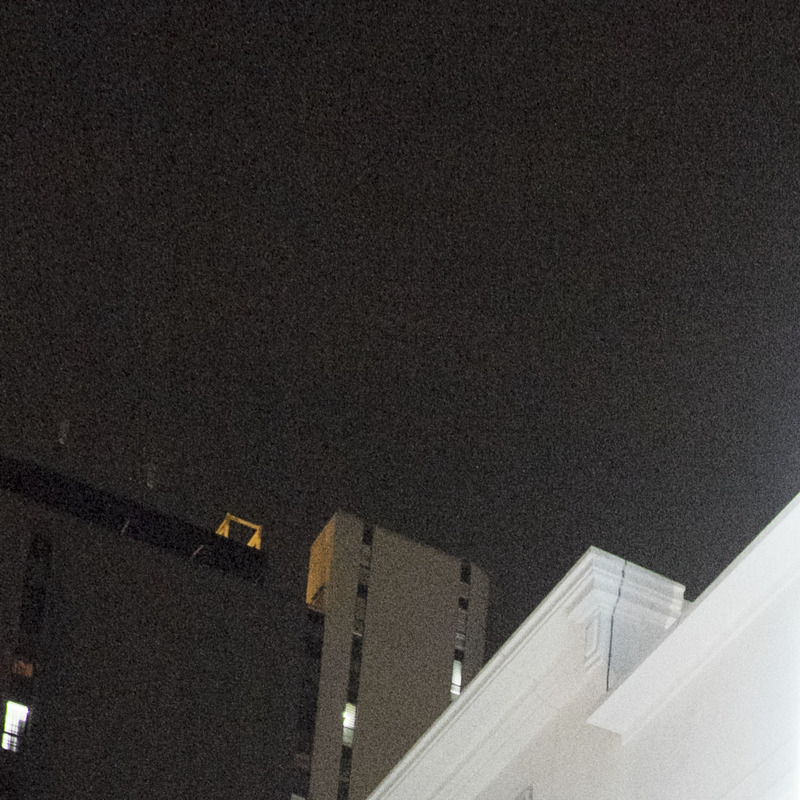 So, the high ISO performance does not appear to be that great in the shots below. I’d still say it’s pretty decent, though. 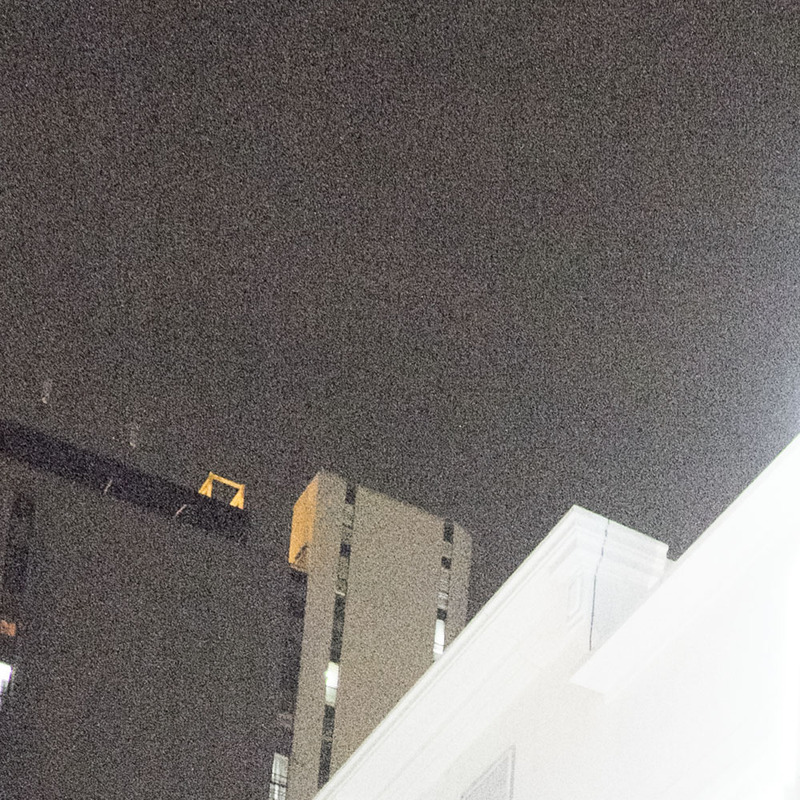 Alex has also posted a set of high ISO images on ClubSnap and his appears to be much cleaner. I believe his test unit has the Noise Reduction turned on. We shot basically the same thing, and did not check if it’s turned on or not. Judging from his files, I’d say that the D500’s high ISO performance with Noise Reduction is pretty amazing. 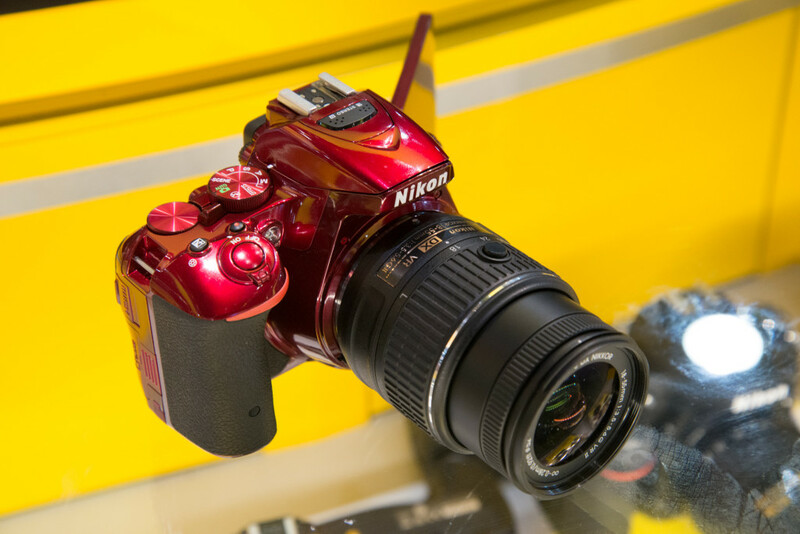 One modern feature that Nikon has added to both cameras are touch-sensitive LCD displays. The D500 has a tilting LCD touch screen, while the D5 has a fixed one. Like smart phones, both allow you to swipe through images, as well as pinch to zoom in. Of course, you can also tap to focus during Live View. Unfortunately, you can’t navigate the menus via touch. Another nice touch added to the cameras a little joystick controller for AF-point selection. This is available on both the D5 and D500 and makes it much easier to select the desired AF point. 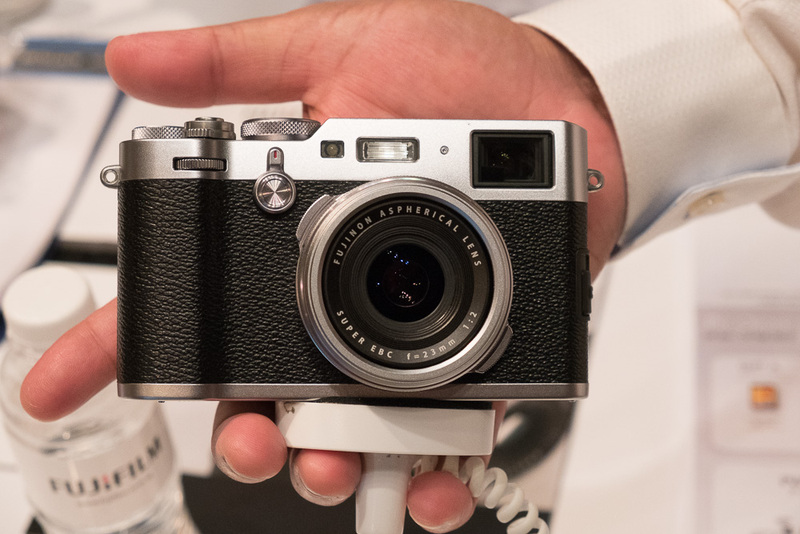 This is also seen on the newly-released Fujifilm X-Pro 2. Here are a few more test shots. Nikon D500, 1/200 at f/4, ISO 1600. Nikon D5, 1/320 at f/11, ISO 100. 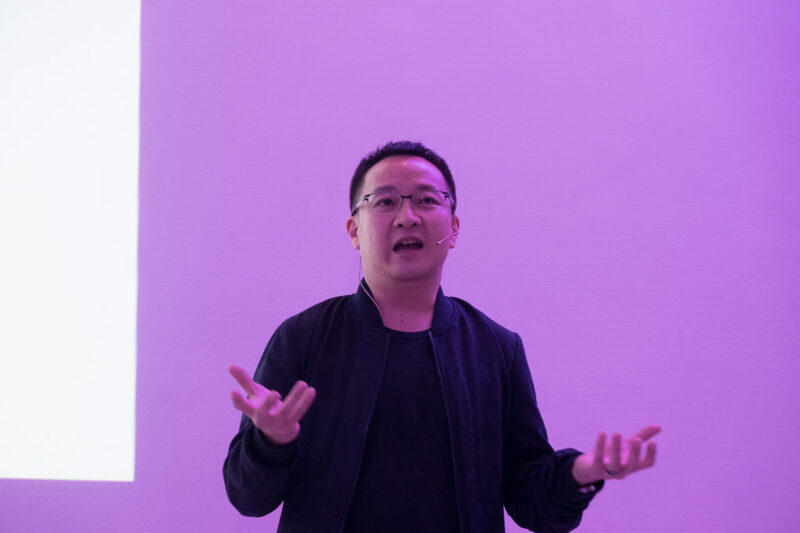 YS: There are a lot of nice improvements, like the new joystick for AF selection, the position of the ISO button (though that will require some muscle memory re-learning for long-term Nikon users), the AF speed, and the AF demonstration in the dark was quite impressive. Also, I’m particularly looking forward to how Snapbridge works. 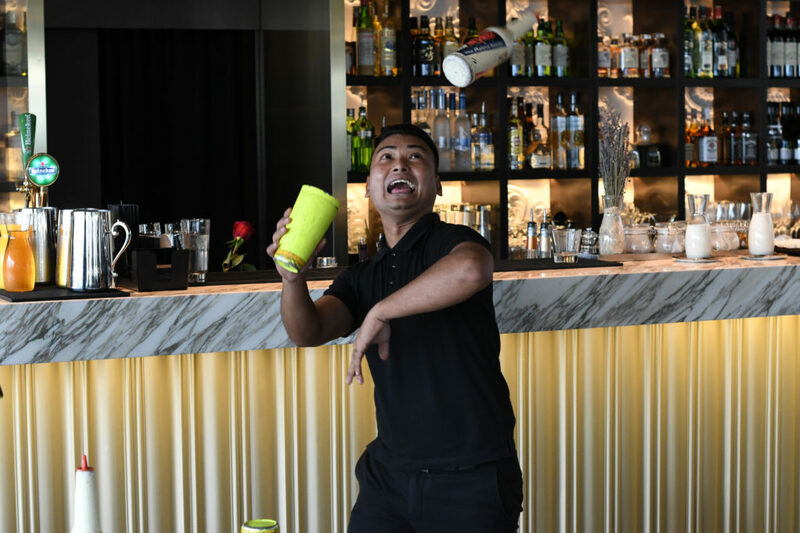 Finally, a way to connect with your smartphone that doesn’t require the two-handed juggle that always happens? During the presentation Nikon implied that the camera will retain a low-powered Bluetooth connection even when the camera is off. It’s a pity Nikon took such a long time to release this. I’d have jumped on it immediately as a replacement for my then-D300. CK: At the time of writing, pricing and availability dates are not known. 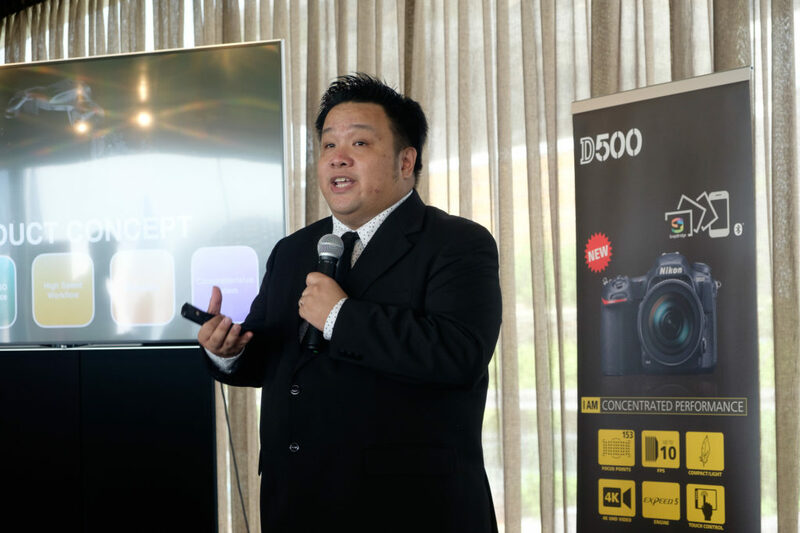 UPDATE (26 Apr 2016): Nikon Singapore has announced that the D500 will be available from authorised Nikon retailers at S$2,999 for the body alone, or S$3,999 bundled with the AF-S 16-80mm f/2.8-4E E VR kit lens. Leica Q @ ISO 100, 1/4s @ f/2.8. Photo courtesy of Wilson Wong of Wilzworkz and used with permission. 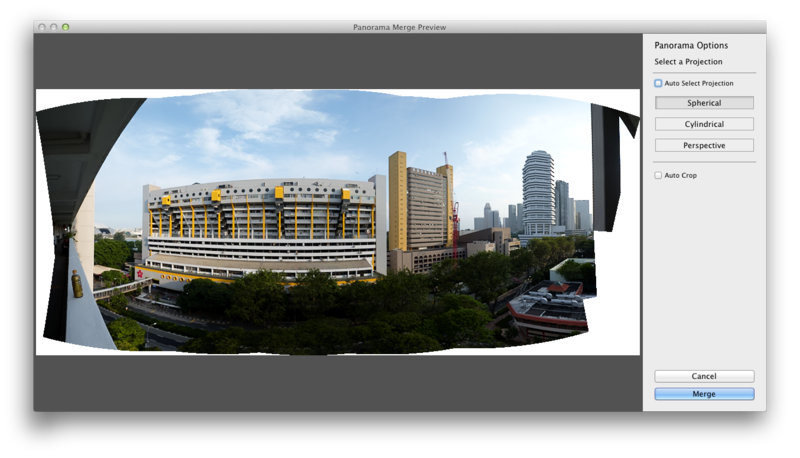 Initially, I didn’t really see any banding, so I decided to boost the exposure in Adobe Camera Raw to +3.6EV. 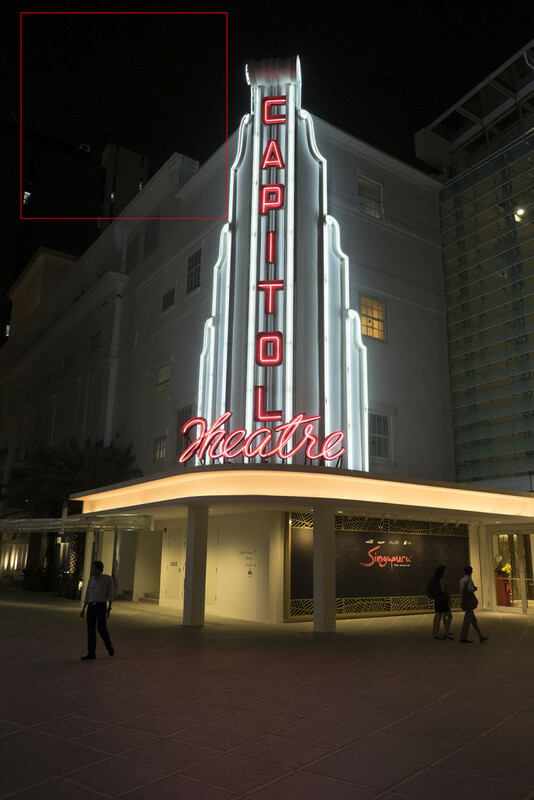 The following is a 100% crop of the area shown by the red box above. Wow! OH WOW. JUST LOOK AT THAT!! 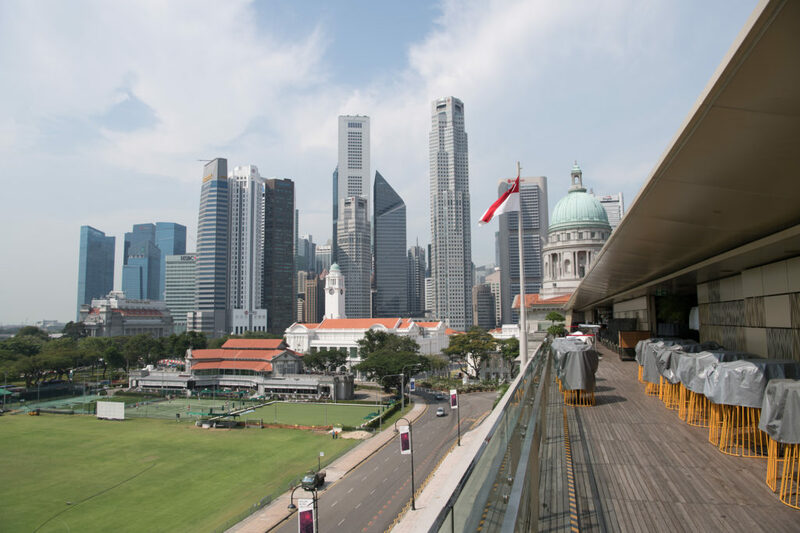 Photo courtesy of Wilson Wong of Wilzworkz and used with permission. We were also puzzled by a rather weird phenomenon. The bokeh “balls” appear to have some dust in them. 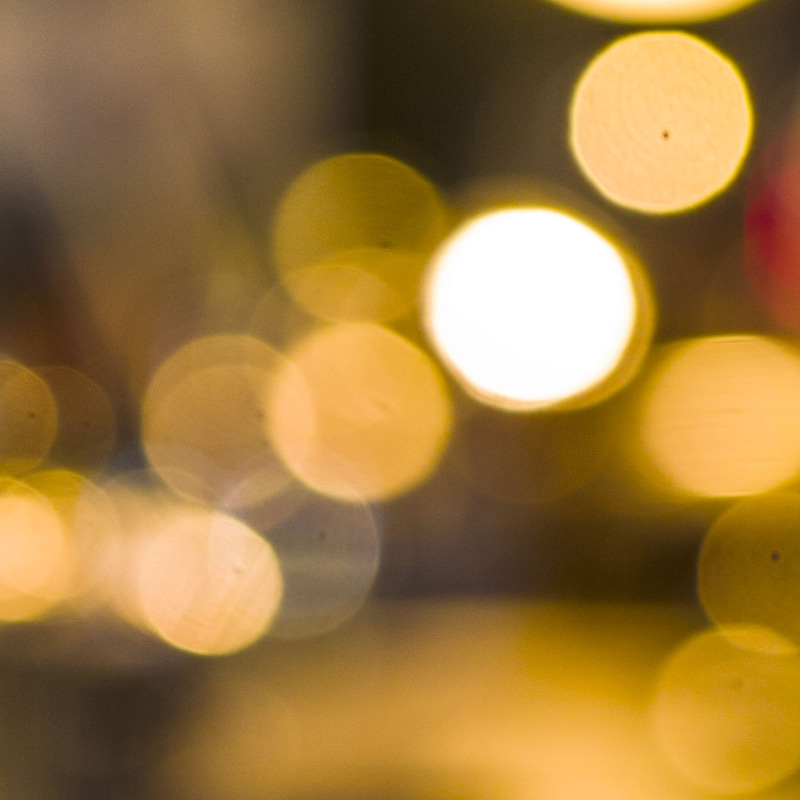 Look at the black spots in the bokeh below. Since this was a ISO 100 shot at f/2.8 and it’s a fixed-lens camera, it is probably not sensor dust. Dirty Bokeh from Leica Q (Yellow box in the full photo above.) Photo courtesy of Wilson Wong of Wilzworkz and used with permission. Just to give a comparison, here’s a shot from my Fujifilm X-T1 @ ISO 1600. First, the entire image. Now, let’s look at the area in the red box, also boosted by +3.6EV. Let’s take it up to +5EV. You can see that it’s mostly noise. Bear in mind this is ISO 1600 compared to the ISO 100 of the Leica Q. Just for kicks, here’s a ISO 1600 image from a Nikon D100 shot in JPEG mode. Here it is again, boosted by +3.6EV. LOTS and LOTS of chroma noise, but hardly any banding. Bear in mind this is a 13-year old camera. Yes, it’s not the same lighting conditions, but regardless of that, the banding should not appear. 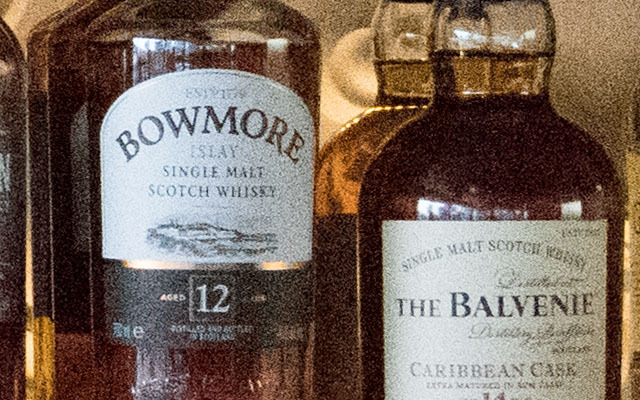 This is not the kind of image quality which a US$4,000 camera should deliver. I’ll be meeting up with Wilson to get a more hands-on experience and to get further tests done. But at the moment, it sure looks disappointing. Many thanks to Wilson for letting us post his sample. YS: Once again the Emperor has no clothes. I’m looking forward to the flames. Adobe has released a new version of Lightroom today in the form of Lightroom CC and Lightroom 6. As the name suggests, Lightroom CC is for the subscribers of the Adobe Creative Cloud, while Lightroom 6 is the standalone version. According to Adobe, the update is said to bring performance improvements of “up to 10x” by utilising your CPU. You can now merge several shots into a single HDR image, or stitch them into a panorama without having to open Photoshop or any other software. Expectedly, this is based on the HDR Merge / Photo Merge functions already present in Photoshop, but this sure made things more convenient. Lightroom CC/Lightroom 6 can now automatically find and tag photos of your friends and family in your library, so now you can find all the photos of your significant other in just one click. You can now use the filter brush to modify the gradients created by the Graduated Neutral Density Filter and Radial Filter by erasing parts that you don’t want to be affected, or apply the effect to other areas not covered by the filters. I reckon this will be useful in situations when your Graduated ND filter in Lightroom obscures a subject, inadvertently affecting the exposure in that area. Since I have the Adobe Creative Cloud Photography Plan, I downloaded and installed Lightroom CC from there, installed it and played around a bit with my existing photos. Luckily for me, the installation and catalog upgrade went quickly and smoothly. I’ve read there are several people whose Lightroom CC crashes upon startup. 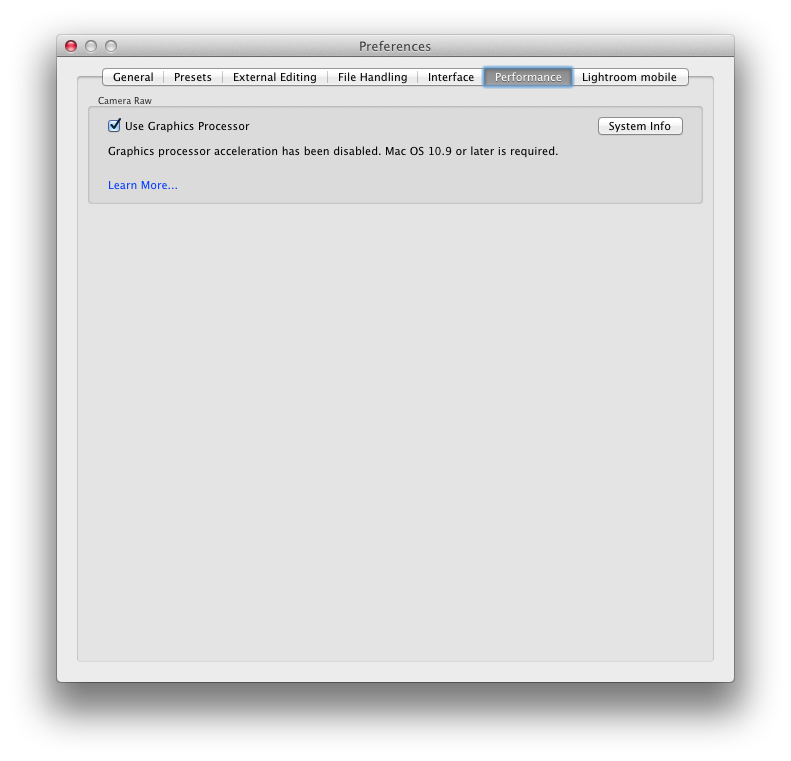 Unfortunately since I am still on OS X Mountain Lion (10.8.5), I am unable to take advantage of GPU acceleration, which requires Mavericks (10.9) and above. However, Lightroom CC still felt faster to me. Not sure if it’s placebo, but flipping between the Library and Develop modules, toggling between 100% and “Fit to Window” views, moving between photos felt quite snappy. 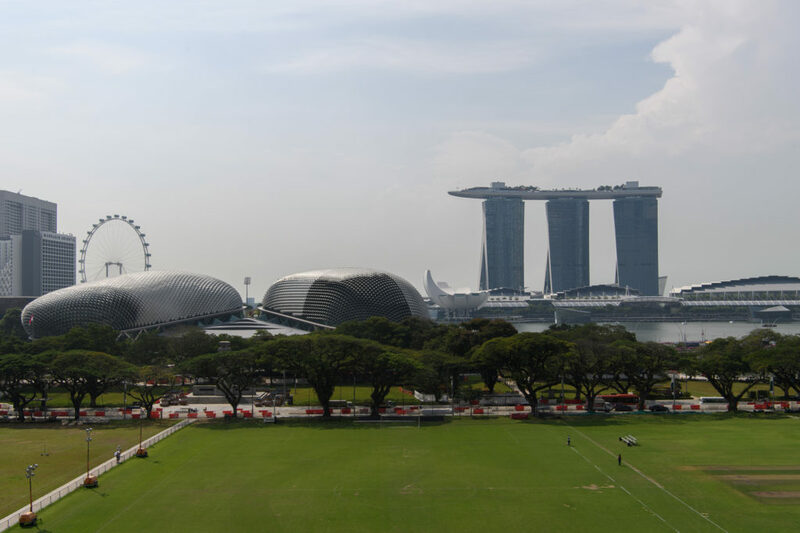 HDR Merge / Panoramic Stitching is useful and convenient and good enough for most people, but experts will probably still want to keep using software like Oloneo PhotoEngine or AutoPano Giga, which offers far more control. I have not played with a lot with it, nor imported any new photos but so far the update looks good. YS: The very first thing I did was to check if there were any performance improvements with the main annoyance I have in Lightroom: 1:1 Preview generation. Unfortunately after timing both a batch of 10 images and the usual on-next photo view in browsing mode, there is no discernible difference. The hate portion of my love-hate relationship with Lightroom stems from there, as it is really hard to use it to parse through images when there is so much minute waiting in-between each image. 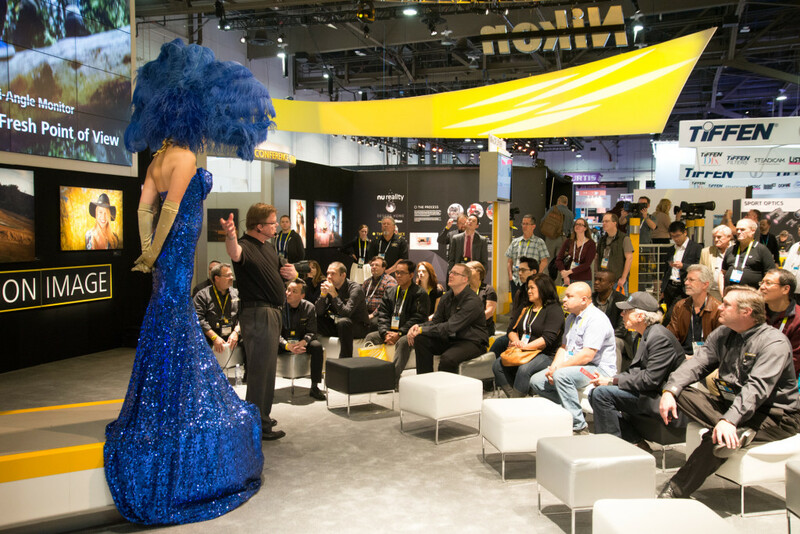 I had some time off from my official duties for my company at the CES 2015 at Las Vegas earlier this week and did a whirlwind tour of the Central Hall, where most of the major camera makers are. This is a quick write-up of what I saw. Nikon recently released their new DSLR – the D5500 and the new AF-S 300mm f/4G PF ED VR, so I decided to drop by Nikon’s booth to try them out. The D5500 is a small upgrade from the previous D5300, and like the D750, it features a monocoque body design with a deeper hand grip. The deeper grip feels nicer in the hands compared to the D5300 which we reviewed earlier. 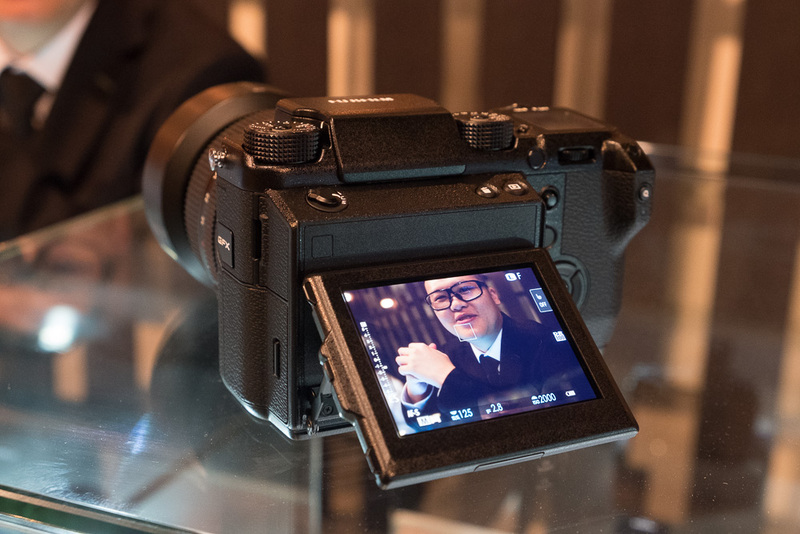 In our D5300 review, we were disappointed that the screen is not touch-enabled. With the D5500, Nikon has finally added a touch screen. Other than allowing you to change settings with a touch, you can also touch to focus/shoot, swipe through playback images or pinch to zoom, much like you would on a smart phone. Performance-wise, it felt pretty much similar to the older D5300. Unfortunately, as it’s a pre-production unit, I wasn’t allowed to collect sample images on my own SD card. This is the lens that YS is particularly excited about. I am amazed at how small and light it is. At 755g, it’s half the weight of the previous version of the 300mm f/4! Again, as it was a pre-production unit, I was unable to get sample images through the lens. YS: SQUEEEEEEEEEEEEEEEEEEEE – it’s so tiny! Definitely can’t wait to try it out. 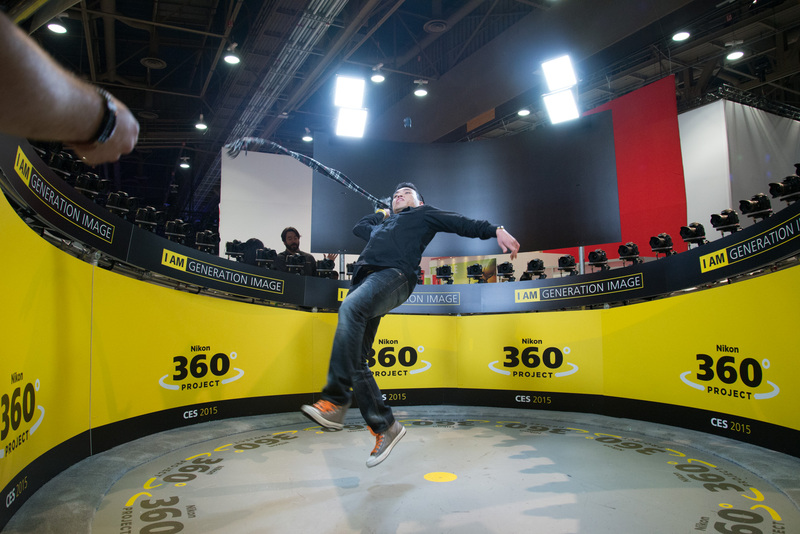 CK: One of the fun things at Nikon’s booth is a 360º bullet-time setup. 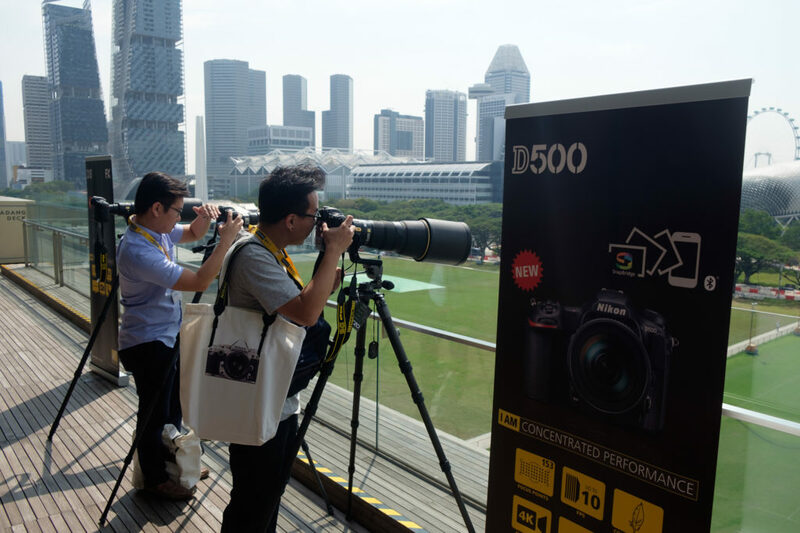 There’s a long queue of people waiting to be captured Matrix-style by 48 Nikon D750s. Over at the Nikon School Theatre, small flash guru Joe McNally was giving a presentation on, what else, using the Nikon Speedlights! 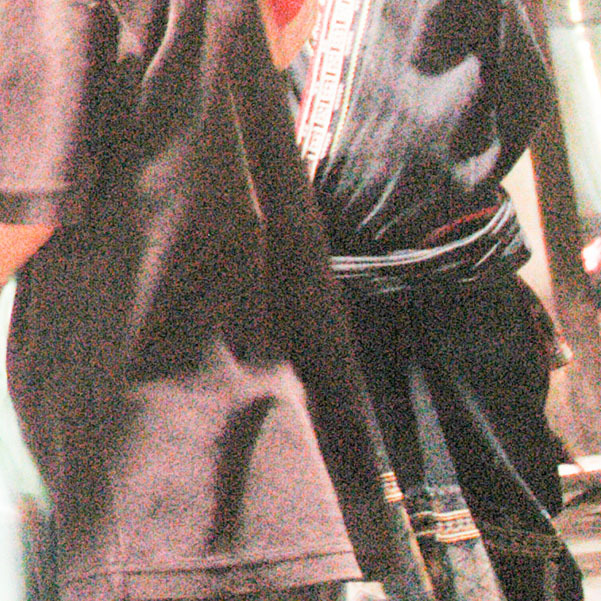 A model was also on location for McNally’s demos. I have been a long-time user of the old Panasonic LX3. It’s a great little compact camera with good image quality, manual controls and a fast zoom which starts at 24mm (equivalent) at f/2.0. It made for a great travel camera or for social settings when I don’t want to lug a heavy DSLR around. YS: I myself had the LX2, which was before the LX3 really defined the LX class. It still was a pretty decent camera, at a time when Panasonic cameras had relatively noisy sensors. Remember them? CK: I skipped the LX5 and LX7 when they came out as I didn’t think the changes are significant enough (more megapixels, slightly longer reach, etc.) But when Panasonic announced the LX100 with a Micro Four Thirds sensor, a fast 24-75mm lens which starts at f/1.7, 4K video recording and even an EVF, I was excited to get my hands on one to test it out. This launch event gave me that opportunity. Following the previous LX models, the LX100 features knobs and dials for the controls, something of a trend right now with the likes of Fuji adopting it in their cameras. 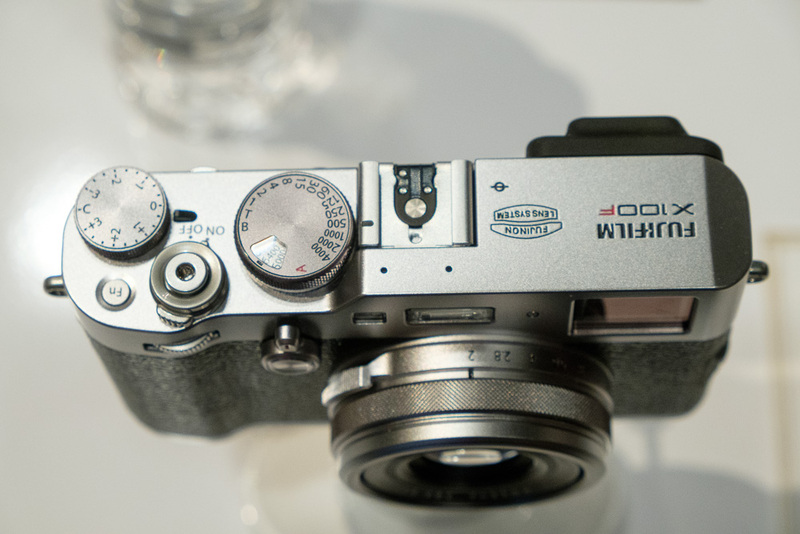 In fact, the top of the camera looks somewhat like a Fuji XE2. The body is bigger than my LX3 to cater for the bigger sensor and lens, but the overall size is still pretty compact. 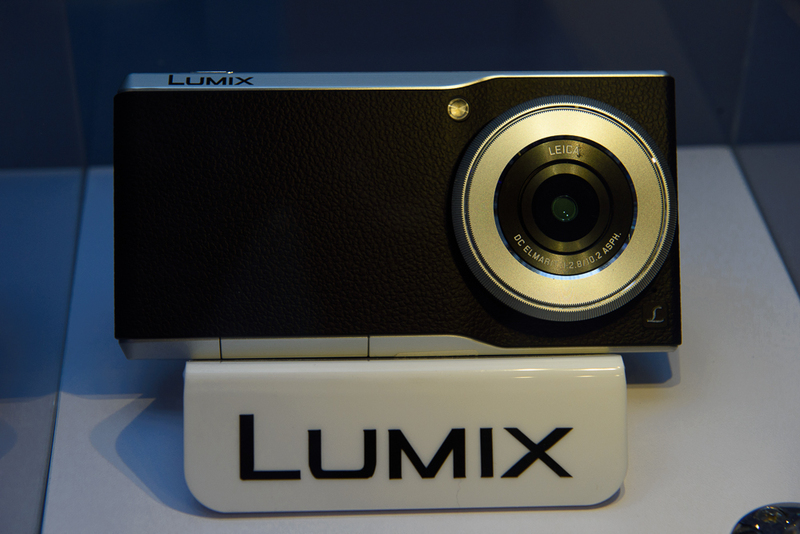 Due to the magnesium alloy body, the LX100 feels very solid in the hands. YS: I would say it is more of a slow evolution: The LX7 after all added an aperture ring, so the extra dials seemed like the next logical step. Not one I am too fond of, however. The camera is definitely larger than the LX7 that came before it, and I would even say it is no longer jacket pocketable, unless you like having a large bulge in your jacket. However it is still plenty small, and I would compare it to something like a Canon Powershot G camera. CK: Like most modern Micro Four Thirds cameras, the LX100 focusses pretty quickly, though I still think the Nikon 1 series is slightly faster on this aspect. Having used to the big and glorious EVF of the Fujifilm X-T1, the LX100’s EVF looks small but refresh rate is pretty decent. It is definitely very usable, more so than the one on the Sony RX100 III, I’d say. From the LCD, image quality is excellent, and high-ISO performance is pretty decent too. We weren’t able to use our own memory cards on the camera as there is a long queue of people clamouring over it and we didn’t want to hog it for too long. Hope to get a review unit from Panasonic soon, so that we can do a more in-depth review. 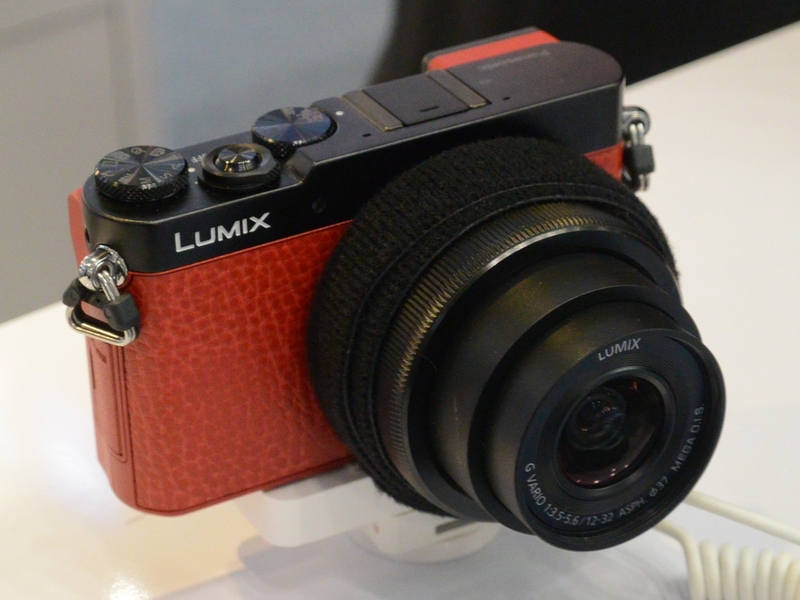 The Panasonic Lumix DMC-LX100 will sell for S$1199 here, and there’s a current promotion with an additional 16GB SD card, original case, battery and $50 shopping vouchers. YS: That’s a pretty decent price. I think for many enthusiasts this could be the one camera for all their photography needs. The wants, however, is a different thing altogether. CK: The Panasonic Lumix DMC-GH4 was on display at the event, filming a water-drop setup to demonstrate still-image extraction from 4K video. 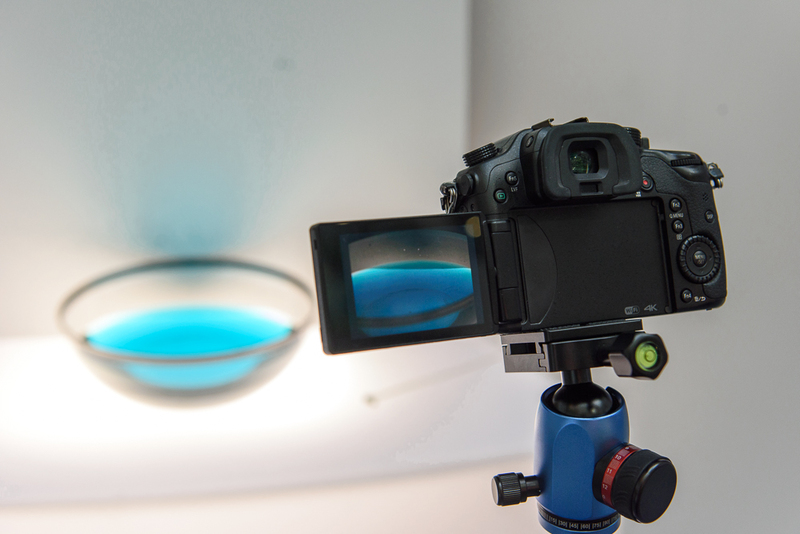 Basically, a video of a drop of ink landing onto a bowl of water is captured as a 4K video, and the desired frame is extracted in-camera to obtain a still image. This might change the way photojournalism is done in future, where the photojournalist simply shoots video and select a frame later. The Panasonic/Leica CM1 phone was also on display at the event, but unfortunately it’s housed behind a display case and we can’t get our hands on it. It’s less bulky than I thought, though it housed a 1″ sensor for its camera. YS: I am pretty sure it’s a mockup. As far as I know, it’s still only going on sale in France and Germany, sort of an experiment. Finally, I also spent some time with the GM5, the followup to the GM1. The camera is actually smaller than the LX100, though once you add proper lenses to it it will no longer be quite as small. The changes to the GM5 are minor, but they improve the camera handling a lot. Having a proper rear command dial makes settings easier to change, and the slightly larger frame makes it better to hold. The EVF is a real tiny affair, but it is serviceable. I really liked the GM1, so we shall see if I end up getting something silly one day. Christmas is not too far away after all! That wraps out our coverage of the cameras on show. 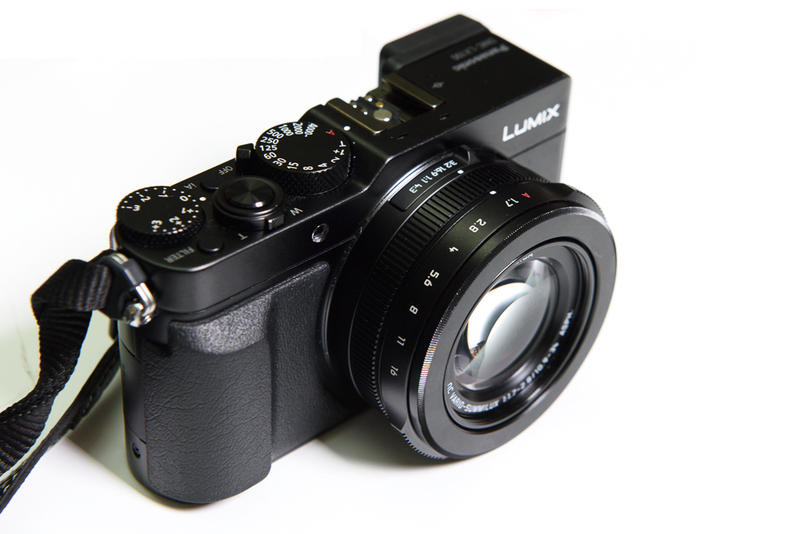 We will be trying to get a LX100 for review, so stay tuned! 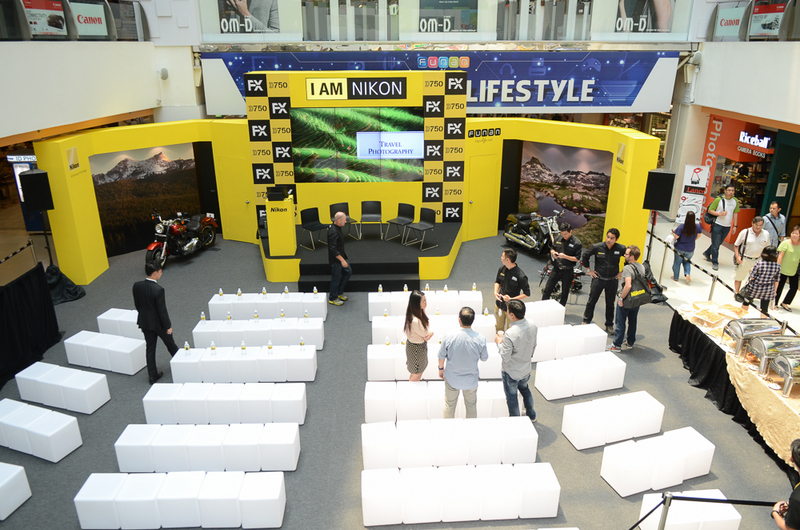 We were invited by Nikon Singapore to a media event for the I AM Full Freedom – The Nikon FX Experience held as part of the D750 launch. 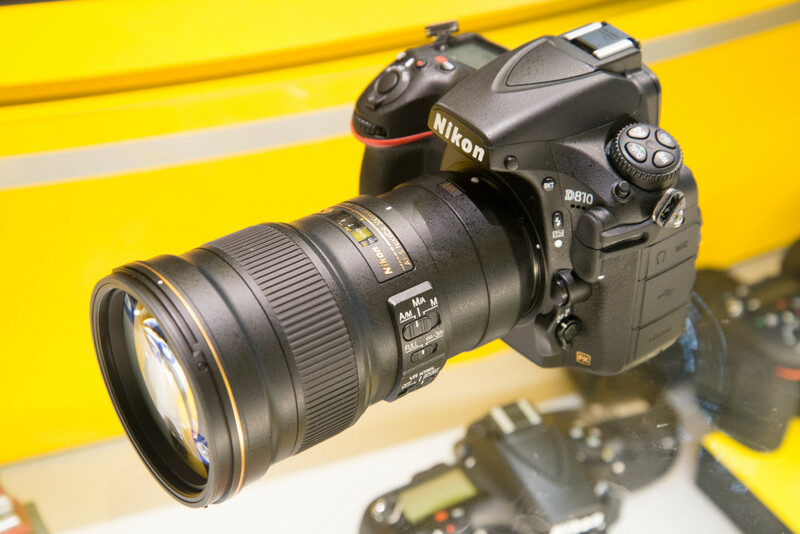 The hero product of the event is of course, the newly-launched Nikon D750. 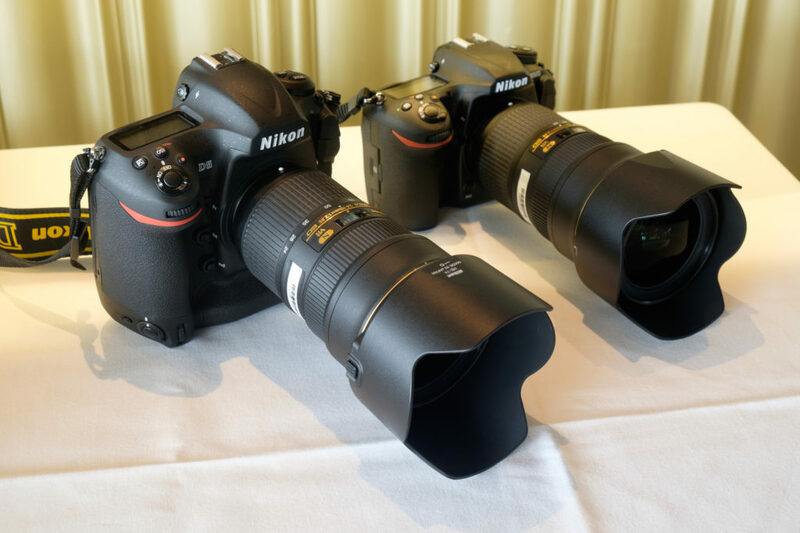 To let photographers test drive the new camera, Nikon has setup a platform with five of them, fitted with various lenses. YS: Another chance to muck around with the D750, so why not? 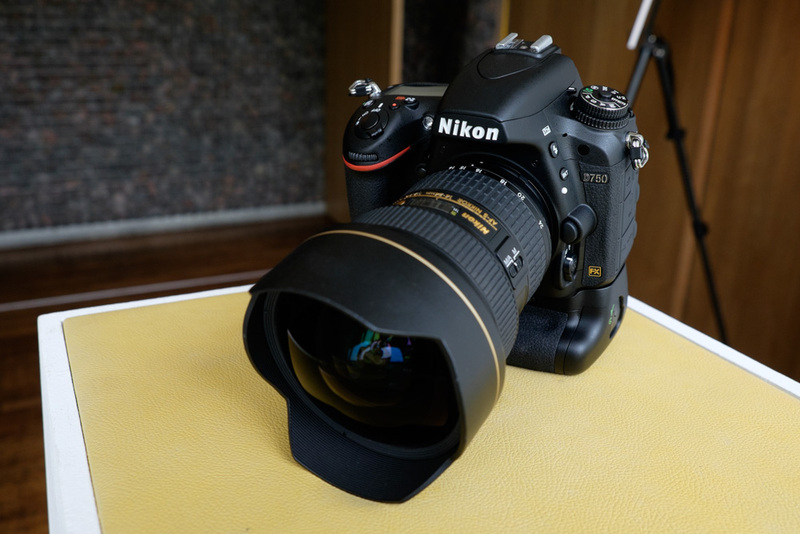 That did not take long: The Nkon D750 is available, as promised by Nikon, and Singapore seems to have it at a great price too: About S$2,500 street price, which is considerably less than the US$2,300 the USA MSRP is at.